『석보상절』은 세종 28년(1446)에 소헌왕후가 죽자, 그의 명복을 빌기 위해 세종의 명으로 수양대군(후의 세조)이 김수온 등의 도움을 받아 석가의 가족과 그의 일대기를 기록하고 이를 한글로 번역한 책이다. 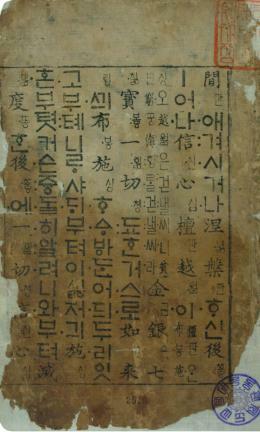 석보상절 권23, 24(釋譜詳節 卷二十三, 二十四)는 초간본이며, 갑인자 활자로 찍은 것이다. 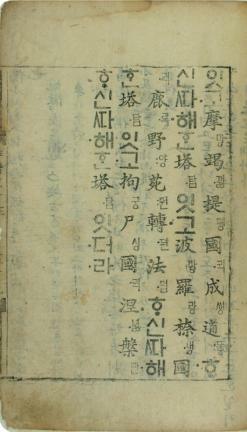 King Sejong ordered Prince Suyang (King Sejo later) to write about the Buddha’s family and life to pay tribute to Queen Soheon after she died in 1446 (the 28th year of the reign of King Sejong). 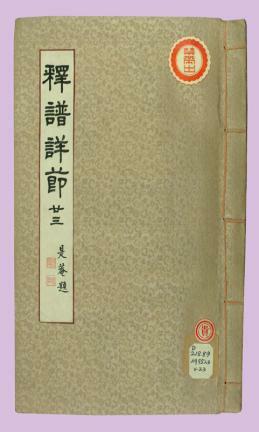 Aided by Kim Su-on, the prince completed this historical document, which was translated into Korean, to be called the Episodes from the Life of Sakyamuni Buddha. 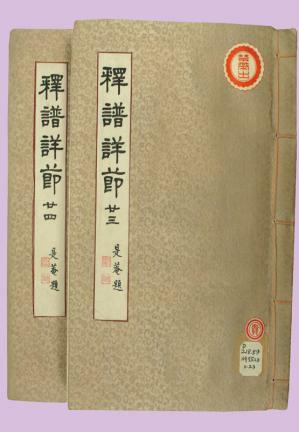 Volumes 23 and 24 are the first editions printed in the gabinja (Iron Printing Press) type.